We used our Roses design for these gorgeous invitations for a wedding at the Grand Hotel on Mackinac Island. The all script design in Bickham looks romantic with the subtle rose floral design. 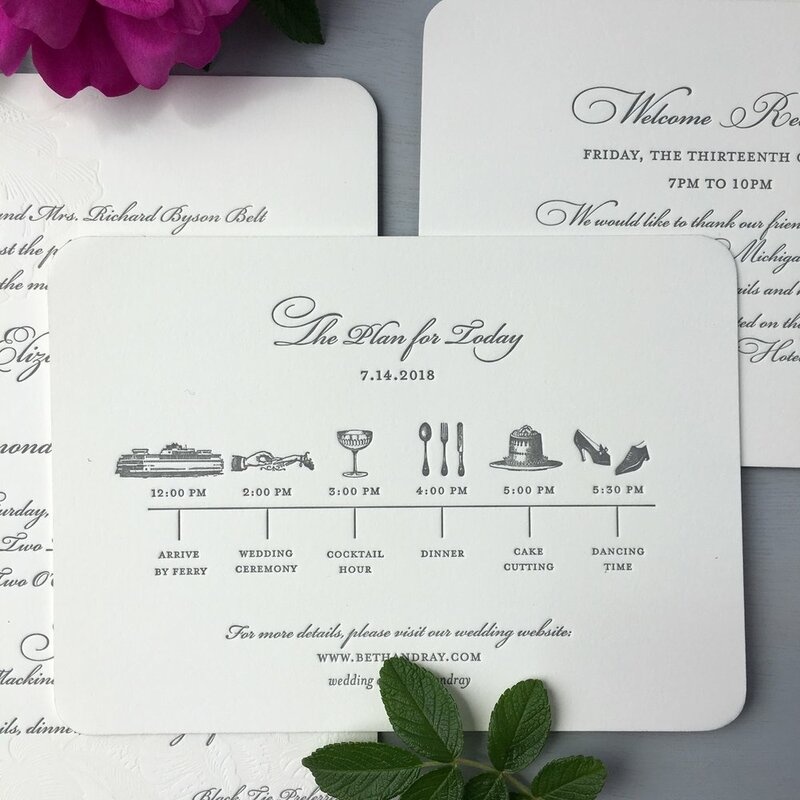 One of our favorite cards to design are schedule cards because they always utilize fun icons for the planned events. They're a great addition to a wedding welcome bag. Our congratulations go out to Beth and Ray!